The first thing to be said about the lawsuit filed last week by the Justice Department against Apple and five book publishers is that the defendants very well may be guilty. There does seem to have been collusion among them to fix the price of e-books. But even if the book publishers’ actions were illegal, that’s not to suggest what they did wasn’t understandable. Indeed, there’s a plausible case to be made that the actions of the publishers actually amounted to combating an abusive monopoly—namely, Amazon. The Justice department may be acting correctly under existing antitrust law by suing Apple—but, in that way, the case only highlights why the laws in question are in desperate need of an overhaul. As Robert Levine describes in his recent book Free Ride, the origins of the lawsuit lie in a deal between the five U.S. publishers—Macmillan, Hachette, HarperCollins, Penguin and Simon & Schuster—and Apple, which agreed to let the publishers set the price for the digital books they sold in Apple’s iBookstore. In exchange, Apple would receive a 30 percent commission on each sale. 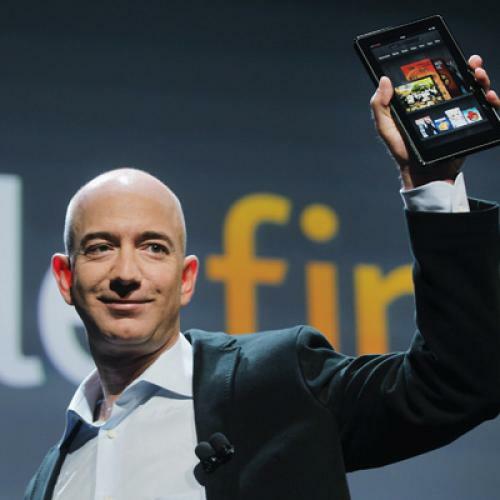 The publishers viewed this as their only defense against Amazon, which at the time owned 90 percent of the e-book market and was willing to sell e-books at a loss in order to drive sales of its Kindle e-book reading device. (Apple, of course, had used a similar strategy for marketing the iPod, selling iTunes for 99 cents in order to drive sales of the device.) The upshot of the lawsuit, then, could be to increase the market share of Amazon, the one company in the e-book market that behaves like a real monopolist. How did the Justice Department end up going after the wrong monopoly? Current anti-trust law constrains monopolies only when they engage in predatory pricing by selling items under cost to crush their competitors. (Amazon’s pricing arguably isn’t predatory because its using e-books as a “loss leader” to drive sales of the Kindle.) Conservative judges have also been eager to interpret antitrust law narrowly. Since the 1990s, the Supreme Court’s interpretation of antitrust law has been remarkably tilted toward business defendants. Although courts once held that monopolies were bad with occasional exceptions, the Supreme Court is increasingly holding the monopolies are good unless they engage in predatory pricing. So skewed is the status quo in favor of monopolies that antitrust defendants have won 15 out of the past 16 cases before the Supreme Court. Even if the Court were less pro-business, proving that Amazon acted illegally would be difficult, it seems to have gained its 90 percent market by creating the Kindle early and marketing it relentlessly. The same goes for the way it locked in its monopoly by designing the device only to read books purchased on Amazon—that, too, is not illegal under current law. Of course, the publishers aren’t allowed to take the law into their own hands, violating current antitrust laws for some greater good. But it’s understandable if they are frustrated by the fact that Amazon’s effective and powerful monopolistic behavior has received the government’s tacit sanction, while their own clumsy attempts at price fixing seem bound to be punished. All this leaves the publishing industry—and the culture of books in general—in a perilous state. If the Department of Justice suit is successful, the newly fortified Amazon will be able to continue to cut e-book prices, paying the publishers even less than it’s paying now. Publishers will respond by ruthless cost-cutting to avoid bankruptcy. The losers will be the majority of authors—all except the small group of bestsellers—who need modest advances to write and promote their books. So what’s the solution? One is to resurrect the idea of prohibiting “no fault” monopolies, which Senator Edward Kennedy tried unsuccessfully to introduce in the 1970s. With “no fault” violations, no one would care about whether a company was trying to undercut its competitors; the existence of a large market share would be enough to trigger legal concerns. More realistic, perhaps, would be for the Obama administration to try to breathe life into the “essential facility doctrine,” which prohibits monopolists from denying their competitors access to essential facilities that determine access to the market. The Supreme Court invoked this doctrine in 1945 when it found that the Associated Press violated the Sherman Act when it limited access to its news service. “You could imagine saying that the Kindle is an essential facility in the e-books market, and you could order new versions of the Kindle to play any e-book, no matter where it was purchased, and not just the e-books bought on Amazon,” says Robert Lande, a director of the American Antitrust Institute. Unfortunately, the Court has moved away from this doctrine in recent years, and Congress seems unlikely to resurrect it. Another possibility would be European-style protectionism for the publishing industry: Germany’s Book Pricing Law, for example, requires retailers to sell books for list prices to prevent discount chains like Amazon from monopolizing the business. Books cost more than in the U.S., but small publishers thrive, and Germany publishes more books per capita and has more bookstores than the U.S.
It’s plausible to imagine that bipartisan support, combining the Tea Party with Occupy Wall Street, could be rallied behind Brandeis’s style of economic populism. Unfortunately, the Obama administration has not yet been able to translate these sentiments into an effective antitrust policy. Until it does, the Justice Department will be focused on bringing low the Davids of publishing, rather than training its sight on the Goliath Amazon, which is the true menace to the future of the book.